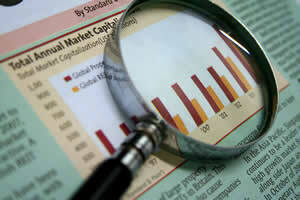 Investments are made not by relying on judgements about the short-term macroeconomic, industrial and corporate changes. Instead, researches are based on major trends – which are more long-term and with higher certainty – and industries or sectors that match the trends. We next select companies in those industries or sectors with distinguished fundamentals. We dig deep into the industries, collect public information about the industries as well as the financial reports and operation data of relevant companies to carry out comprehensive analyses, from which we form an initial investment decision. 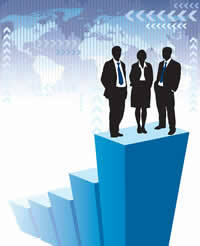 Companies within the qualified industries or sectors are then screened to build and construct the basic portfolio. Quality companies from the initial portfolio are selected for studying. A comprehensive survey and research on the company’s competitors, customers and suppliers is conducted; the management are visited, and industrial research firms are contacted. Adequate information is acquired through due diligence. These would then help form the core portfolio. To make the final call for the portfolio, we strategically combine the overall evaluation and decision, the industrial analyses, the industry’s current valuation, and the analyses of the fundamentals of companies.